What is the Master Composter Volunteer Program? 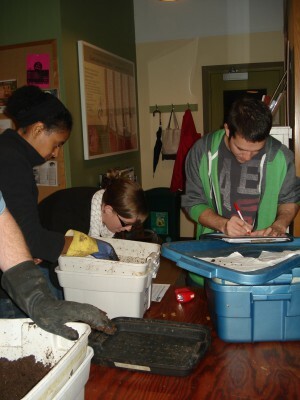 Green Action Centre’s Master Composter Volunteer Program is a program that will give you the confidence to become effective compost ambassadors by educating others on the value of composting. The first step to becoming a certified Master Composter is taking our hands-on train-the-trainer composting course that is usually offered yearly in Winnipeg and occasionally in other Manitoban towns and cities. To complete the certification process, you are required to complete 30 hours of composting related volunteer activities in the community within a two-year period. Volunteer time is gained by various activities such as helping your family and neighbours start composting, setting up composting programs at a workplace or school, building community compost bins, staffing our display at public events, delivering composting presentations and other activities that promote composting to residents, businesses, schools, and other community groups. As a volunteer you are encouraged to seek out opportunities yourself. Green Action Centre occasionally provides volunteer opportunities to help you complete your hours. Our volunteer activities involve participating in various highly frequented events such as Gardening Saturday and the Home and Garden Show. This program is an excellent opportunity to meet and network with other like-minded people. 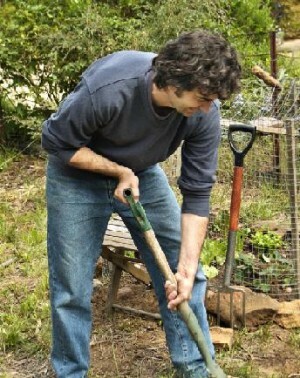 By becoming a Master Composter, you join a growing community of earth conscious individuals, people just like you! As a member of the Master Composter Network we will provide you with updates and composting related information by e-mail and through our e-newsletters. 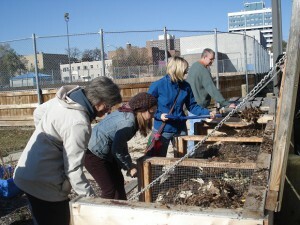 Further, special invites for tours and events are offered to Master Composters throughout the year. Why be a Master Composter Volunteer? All Manitoba residents, 18 years and older, interested in composting and sharing their knowledge with others can apply. Beginners are welcome! As a course participant you will learn about composting through various activities, lectures, tours, discussion groups, and videos. Throughout the course, you will gain knowledge on the details of composting including sessions on soil health, compost maturity, biology of the compost pile and vermicomposting activities to name a few. Master Composter participants are expected to attend all of the course sessions, set-up and operate a backyard compost or a vermicompost at home or at work, and encourage and show others how to do the same. Master Composters must also complete 30 hours of volunteer time to this program in Manitoba within the next two years after completing the course. When working in the community, Master Composters acts as ambassadors for the Green Action Centre. Green Action Centre strives to provide assistance and guidance to anyone in the community that wants to start composting. We are a registered charity that depends on grants and donations. To help cover our costs, there is a fee of $100 to attend the course. If you cannot afford the fee, please contact us to discuss alternative arrangements. Once the participant has completed their 30 hours of volunteer work, they can choose to have $50 refunded or choose to donate it to Green Action Centre for future composting awareness activities. The application deadline for our Winnipeg Spring 2018 course from May 25th from June 12th has passed. If you would like to be notified for our next course, please fill out our on-line Master Composter Volunteer Program notification form. While you wait for the next Master Composter course, we encourage you to browse our website and other resources to learn more about composting. Contact us as below anytime with your big, little, urgent, or crazy composting questions (we pretty much guarantee you we’ve heard it before, whether basic or weird and wonderful). If you’re more of an in-person learner, we do regularly offer public talks on both backyard and vermicomposting. Check them out here, or watch our Events page! You can also sign up for notifications about when we will be offering the next set of presentations.